Super Eagles forwards Henry Onyekuru and Samuel Kalu were both on target for their respective European sides on Sunday. 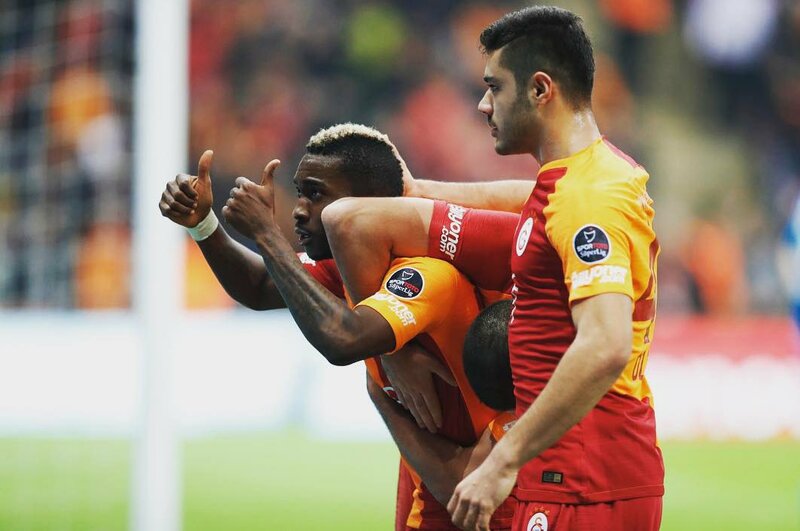 Onyekuru staged a man-of-the-match performance for Galatasaray as he scored twice in their 4-2 victory over Sivasspor at the Turk Telekom Stadyumu. The Everton loanee netted in the 51st minute to put the Turkish champions back in the lead before extending their win in the 69th minute. The 21-year-old has now scored six goals for Gala in the Turkish Super Lig this season. In France, Kalu scored his second Ligue 1 goal for Bordeaux. The 21-year-old opened scoring for the hosts in the 22nd minute but Amien SC equalised few minutes to the end of the game. Meanwhile, Nigeria U-23 international Aminu Umar netted what proved to be the consolation goal for Rizespor in their 4-1 defeat to Trabzonspor. Interestingly, Anthony Nwakaeme scored the fourth goal and registered an assist for the victorious home side with Ogenyi Onazi logging 32 minutes – forcing a substitution after the half-hour mark following a knock.